Get ready for a night on the town with the Caped Crusader! 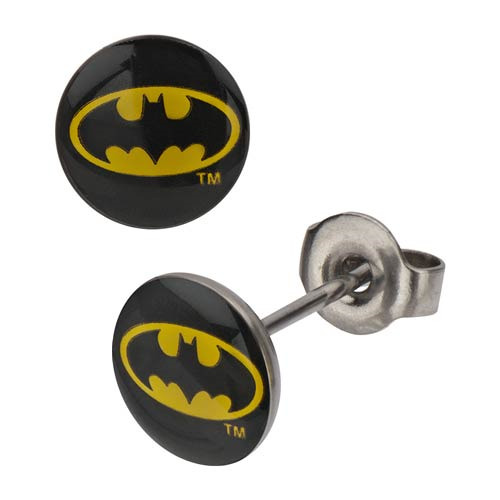 These Batman Logo Black Stud Earrings feature stainless steel posts and an 8 mm black Batman logo. Ages 12 and up.